Nowadays, the Internet is a way of life for Chinese people. Indeed, they are now addicted to the web and modern technology. They spend 25 hours per week so we can say they are highly connected. We are going to see what are ten busiest websites and social platforms in China. Taobao.com is the largest online marketplace in China. There are more than 800 million shoppers and around 7 million merchants. I think It’s the most popular C2C Chinese website. During the single people day, November 11th, it saw a turnover of 19 billion of Yuan in only one day. This platform is a successful because it is very active in marketing, makes a lot of promotions and it is adapted to the Chinese expectations. JD.com is one of China’s e-commerce giants; it is an e-tailor, buying products for resale. Today, this platform covers more than 1,900 Chinese cities from 97 stores and more than 2,500 delivery points. JD is now developing on foreign market in order to remain competitive in the international market. This platform allows Chinese customers to buy imported product from international firms. We can find more than 1 200 foreign brands that are why Chinese people go a lot on this website. Weibo is very famous in China, it is similar like Twitter. Weibo has now 198 million monthly active users according to the latest report of the company for Q1 2015. It has an increase of 11.2% compared to 175.7 million active users in the previous quarter of year 2015. It corresponds to an increase of 38% compared to last year. Weibo is the perfect place for buzz. For example, the famous uniqlo buzz. This video gathered 1 million views in less than two hours on Weibo. 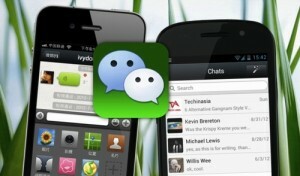 WeChat is the most popular social network in china, it is known for being WhatsApp’s competitor. But if you look deeper, you will see that the Tencent’s platform is not only a messaging application. You can shop, play games, book your taxi or pay online. A lot of brands use Wechat in order to reach new consumers. Sohu is a Chinese Internet company based in Beijing and created in 1996. It has a search engine called Sogou. Sohu announced that it cumulated total revenue of USD 477million, made an increase of 24% year after year. It mobile app called Sogou Keyboard is the most popular Keyboard in China. It’s one of the best search engines in China. Some business marketing in lower tier cities found Sogou to be very helpful as its ppc is cheaper than China’s leading search engine, Baidu. Meilishuo. com is a websites which has been created in order to help Chinese women to find the ideal clothing, cosmetics products, bags, shoes and accessories. Meilishuo means “Conversation on Beauty”. Users can share online shopping links and information on their favorite products and search for expert. Baidu is the most popular search engine in China. It was founded by Robin Li and Eric Xu on the 18th of January 2000. Baidu is ranked as the 5th search engine in the world and 1st for China and Chinese users. Forget about Google, it’s been rejected from China for quite a while. Now we are talking about Baidu (at 61%) and Haosou (360 SO at 25%). Besides that, Baidu offers many communities as Baidu Tieba. Pchome.net is perfect for all the Tec savy. They will find all the news they want about technology industry. Anthony is a Geek, he lives in China for 8 years and explains that recently PC Home is the reference for Geek product in China. Recently we heard a lot of about apps, games and new technology. Qihoo 360 Technology Co. Ltd. or Qihoo 360 is another popular search engine in China and Famous anti-virus. Qihoo 360 was created by an important antivirus software company in China. This search engine reported revenue of $376.4 million during this year. 10. 163.com: The place for news and email. 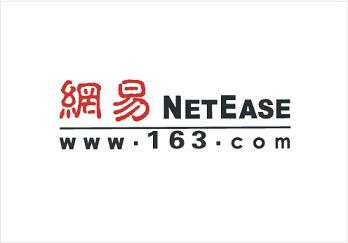 163. com is one of the largest Chinese Internet content providers. Everybody use it for creating an email in China. Nowadays, there are more internet users than ever. All the social media in China have greatly increased the amount of information available, impacted the way of life of Chinese people over the past few years. Not only the amount of information available has increased drastically but also it’s broadcasting speed.